Dr. David R. Crowe is a renowned pathologist in Birmingham, Alabama. He received his medical diploma from the University of Alabama School of Medicine in Birmingham in 1977. He completed his medical education with a residency in pathology at Caraway Methodist Medical Center and at the University of Alabama Medical Center, Birmingham, where he was the chief resident. He is certified by the American Board in anatomic and clinical pathology. 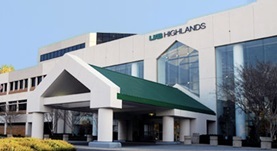 He is affiliated with several hospitals in the area, including the University School of Medicine, UAB Highlands, and D C H Regional Medical Center. He published many articles, written in collaboration with other doctors. Dr. David R. Crowe has contributed to 3 publications. Mitochondrial-nuclear genome interactions in non-alcoholic fatty liver disease in mice. Betancourt, A. M.,King, A. L.,Fetterman, J. L.,Millender-Swain, T.,Finley, R. D.,Oliva, C. R.,Crowe, D. R.,Ballinger, S. W.,Bailey, S. M.; Biochem. J.. 2014 Apr 25. Progressive lung calcification after orthotopic heart transplant. Sonavane, S.,Guleria, S.,Crowe, D. R.,Steenwyk, B.,Singh, S.; Pediatr Radiol. 2014 Jun 09. Involvement of the mitochondrial permeability transition pore in chronic ethanol-mediated liver injury in mice. King, A. L.,Swain, T. M.,Mao, Z.,Udoh, U. S.,Oliva, C. R.,Betancourt, A. M.,Griguer, C. E.,Crowe, D. R.,Lesort, M. J.,Bailey, S. M.; Am. J. Physiol. Gastrointest. Liver Physiol.. 2013 Dec 21.